The cyclopentadienyl anion C5H5- is the deprotonated form of cyclopentadiene. 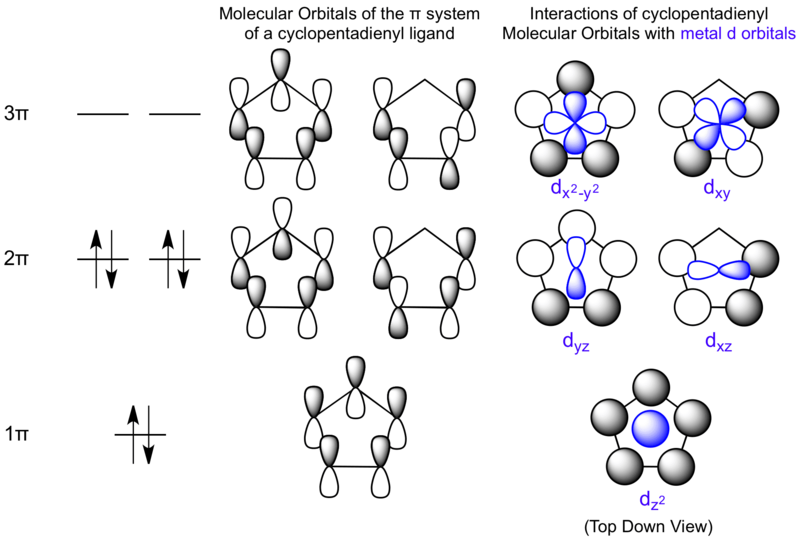 6 π electrons make it aromatic and it acts as a pentahapto ligand, bound by all 5 carbons. It is formally a 6-electron donor, with σ donation to dz2 and π donation to dyz and dxz. The two LUMO states can accept electron density from the metal center.